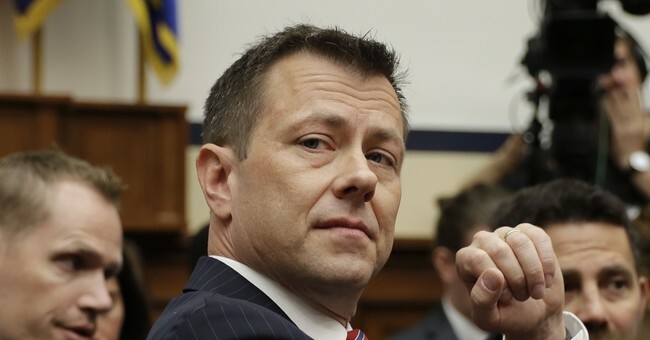 After a contentious exchange between Democrats and Republicans during a House Judiciary and Oversight Committee hearing on Capitol Hill Thursday, Judiciary Chairman Bob Goodlatte informed FBI Deputy Assistant Director Peter Strzok he will be recalled later today and voted in contempt. The move comes after Strzok refused to answer a question from Oversight Chairman Trey Gowdy. Gowdy asked Strzok how many people he had interviewed as part of the Special Counsel before discussed impeachment for President Trump. Strzok discussed impeachment of President Trump in a text message to FBI lawyer Lisa Page just one day after Deputy Attorney General Rod Rosenstein appointed Bob Mueller to lead the Special Counsel Russia investigation. Strzok maintained during the hearing he was not under subpoena, but instead testifying voluntarily. Goodlatte disagreed and took issue with Strzok refusing to answer question about the 2016 presidential election and his work on the Special Counsel. "Your testimony is essential to this hearing and to our oversight and information gathering functions with regard to the actions taken and decisions made by the Department of Justice and the FBI in 2016 and 2017. I am specifically directing you to answer the question in response to our subpoena," Goodlatte said. "In a moment we will continue with the hearing but based on your refusal to answer the question, at the conclusion of the day, we will be recessing the hearing and you will subject to recall to allow the Committee to consider a contempt citation."